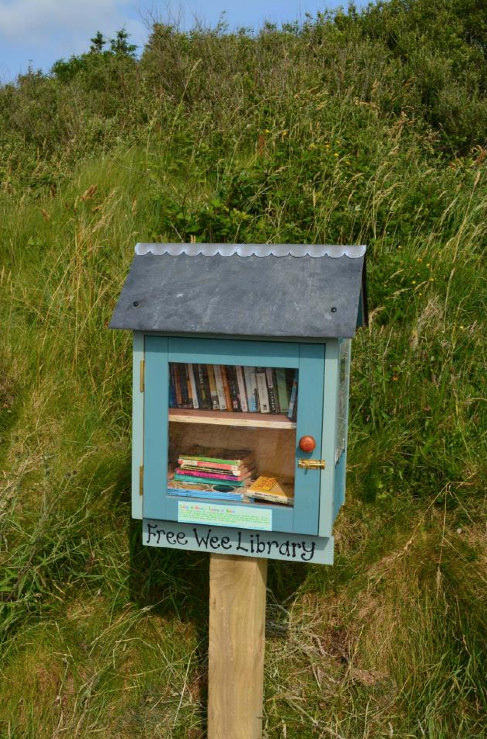 Buncrana’s community built five “free wee libraries” and put them in different spots around the town – in the local park, on the beach walk, and in the playground. These operate on the principle of “take a book, drop a book”, promoting reuse of books, as well as literacy of course. You can browse, or borrow, or keep a book, for free! Click here to see the launch of the Buncrana free wee libraries by Frank Mc Guinness and covered by RTE. Click here to see a BBC news item on Buncrana’s wee free library. Such wee free libraries have cropped up in locations from train stations in England to bus stops in the States. There are plans and measurements for building your own if you search “free little library” on the internet. Take the reuse idea further, and build your free wee library out of salvaged materials and reused paint. The libraries will need someone to watch over them; a nice project for a Tidy Towns or other community group.